Hundreds of Roma living in the informal settlement of Gianturco in Naples, Italy, were forcibly evicted by local authorities on 7 April. Families had been told by authorities two weeks before that the eviction was scheduled for 11 April but on 6 April they were informed that the eviction was happening the next day. Amnesty International was allowed in the cordoned off area to monitor the operation. Journalists were prevented from entering. 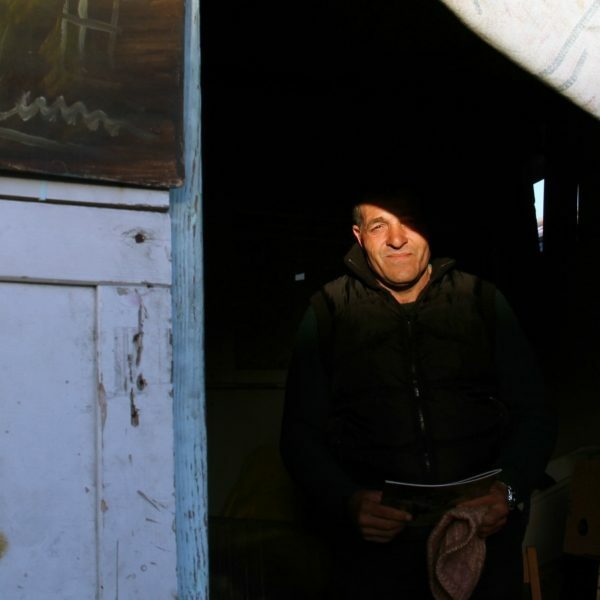 Of the estimated 1,300 Romanian Roma that lived in Gianturco, only 200 people, including children, elderly and sick people, were present when the forced eviction was carried out. Dozens of families had left the settlement in the weeks before in fear of being rendered homeless, as the authorities told them there would not be an alternative for all. Repeated police checks, which intensified before 7 April amounted to harassment. The forced eviction was carried out within 4 hours. All homes were demolished and the area was sealed off. 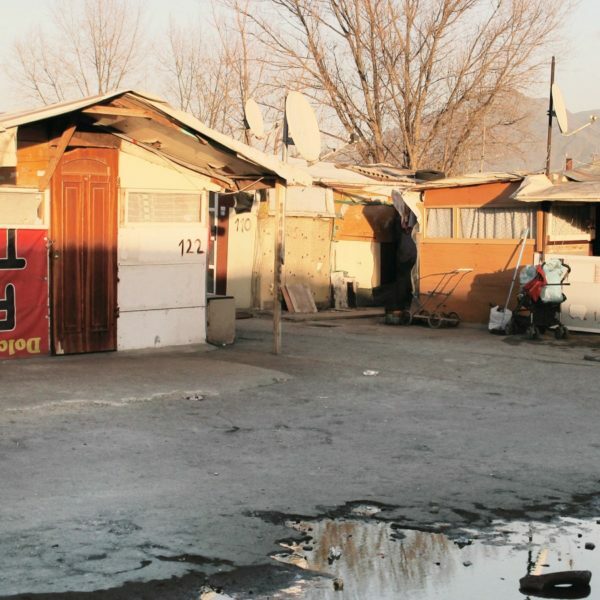 The authorities transferred around 130 people to a new segregated camp, in Via del Riposo, located where a Romani settlement was burned down by assailants in 2013. 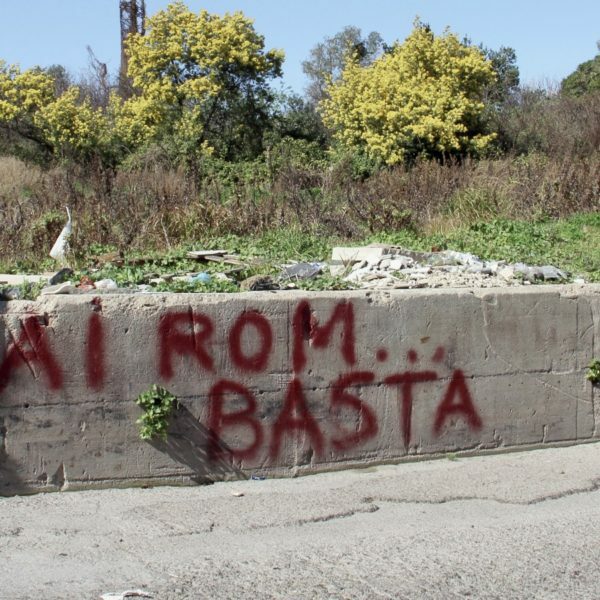 Anti-Roma slogans had already been sprayed on the nearby walls. Amnesty witnessed people passing by in a car shouting slurs against Roma. Local authorities told researchers that police forces would remain outside the camp for a while as they fear attacks and hostility from non-Roma. 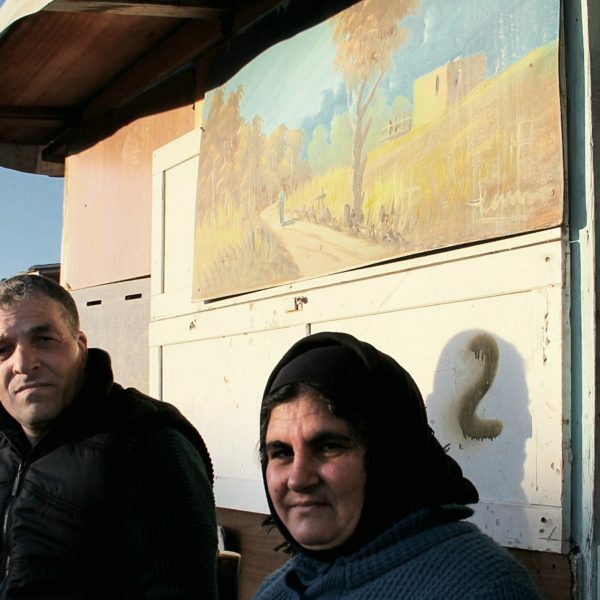 A few families were offered to move to the reception centre “Grazia Deledda”, where conditions have been reported by many Roma to be inadequate, with no privacy and only communal showers and kitchen. Amnesty has not yet been granted access to the camp in Via del Riposo or to the reception centre and is awaiting a response from authorities to a request filed on 7 April. Many families were not offered alternative housing and were rendered homeless as a result of the forced eviction. At least two families, including one with a one-year-old child, spent the last few days in their cars. A seven-month pregnant woman and a severely sick 20-year-old man slept in a train station. The whereabouts of dozens of other families are unknown. 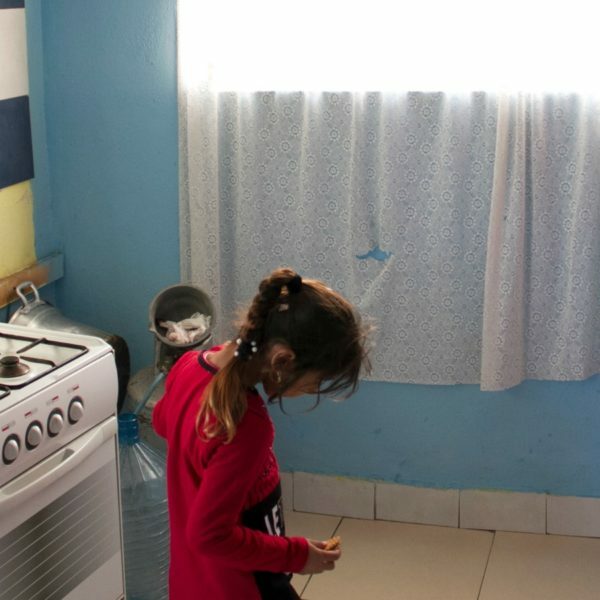 On 11 April, in a meeting sought by Romani families and activists, local authorities said they have no alternatives for the families left homeless. 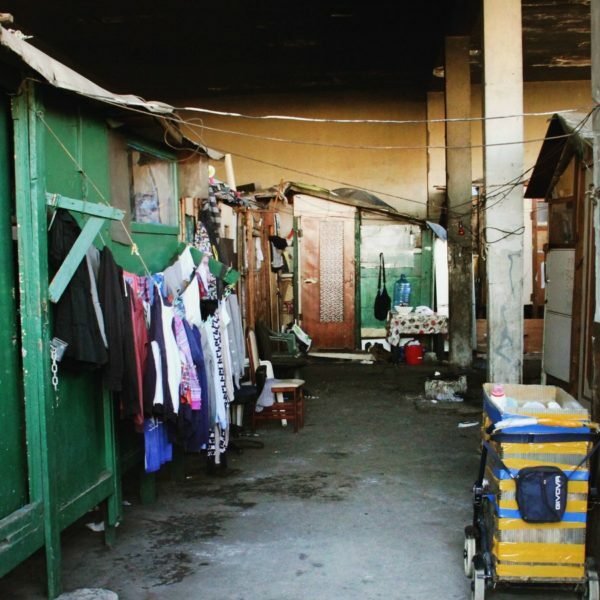 Ensure no further forced evictions of Roma are carried out in Naples. Housing is a human right that all people should enjoy without discrimination! Nobody should live in fear of seeing their homes destroyed, be forcibly evicted or placed in ethnically segregated camps. 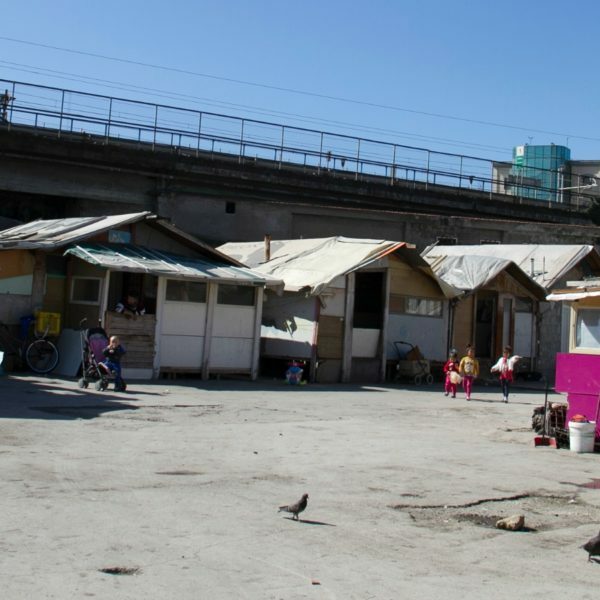 I am alarmed by the situation of 1,300 Romanian Roma, including hundreds of children, elderly, sick and disabled, living in informal settlement of Gianturco in Naples, in southern Italy, at risk of eviction by local authorities. I am concerned that the eviction of the families from Gianturco might amount to a forced eviction, unless necessary safeguards are put in place, as requested by international and regional human rights standards that Italian authorities are bounded by at all levels. I am also concerned that the local authorities’ plan for relocation include as main option the creation of a new segregated camp in Via del Riposo currently co-funded by the municipality and the Ministry of Interior, while the remaining hundreds of adults and children are feared to be soon rendered homeless. Forced evictions and the long term plan to transfer the families to a segregated mono-ethnic camp fly in the face of commitments undertaken by Italy in its own National Strategy for Roma Inclusion, adopted in 2012, which committed the authorities to end the segregation of Roma in camps; they also bring Italy in breach of international and regional human rights standards, including the EU Race Equality Directive. 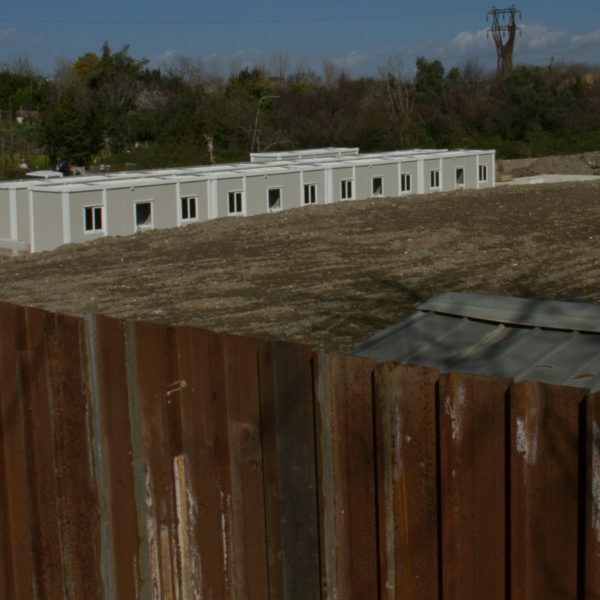 ensure that any rehousing plans do not result in the creation of new segregated camps and comply with the standards of adequate housing as outlined in international and regional human rights law and Italy’s National Strategy for Roma Inclusion.